Ólafur Þ. Johnson and Ludvig Kaaber found their company, Ó. Johnson & Kaaber, in the autumn – soon after a marine cable connects Iceland with the rest of the world, thereby ending centuries of isolation. The owners of Iceland‘s first wholesale can now send their orders via telegraph instead of having to rely on the few post ships every year. 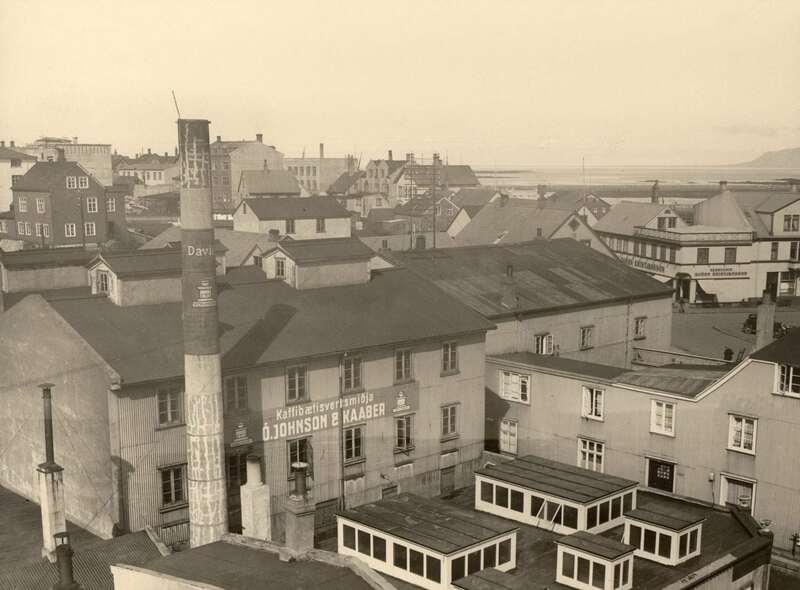 The company‘s first headquarters are situated in Lækjargata 4, Reykjavik. 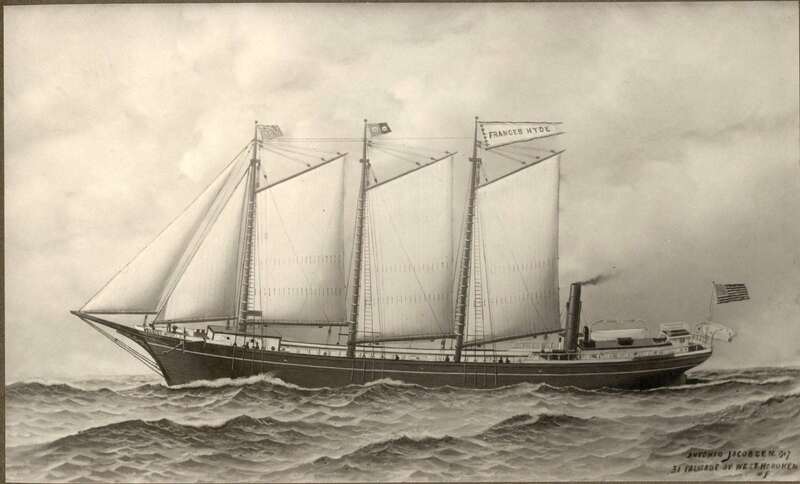 The partners Johnson & Kaaber are on the go; they even invest in their own vessels to ship the goods home from abroad. They travel quite a bit themselves, constantly on the look-out for new and exciting additions to their product selection. During WWI they start importing from the US as Iceland is cut off from Europe because of the war. ÓJ&K move to new headquarters in Hafnarstræti 1-3, the old and renowned Falcon House. The Kaaber-coffee is introduced. Despite Mr. Kaaber selling his share in the company in 1918 to Arent Claessen, somehow the delicious beverage is always referred to as Kaaber-coffee. The coffee beans are imported from Brazil, roasted and grinded in the back of the Falcon House and sold all over the country in small, white packages with distinctive blue stripes: the classic Kaaber Rio blend. During the Great Depression, coffee becomes very expensive – a real luxury item, so people try to mix it with all kinds of stuff to make it last longer. One of these supplements is the root of the chicory plant, also roasted and grinded into powder and then pressed into tablets. Sure enough – it gives you those extra cups – but your taste buds pay the price! The chicory root give it an acrid taste, at least by our standards. ÓJ&K starts manufacturing its own coffee supplement under the brand name Ludvig David. For years it is sold in paper-wrapped metal cans – the paper being so bright red that the more practical of women use it as rouge – and even lipstick – during WWII. ÓJ&K is not only a wholesale but also exports a few items such as wool, lamb hides and cod liver oil. They have their own oil processing plant in Skerjafjördur, Reykjavik where this guy runs the show, Mr. Jentoft Olsen. History repeats itself and just as in WWI, one of ÓJ&K‘s directors is asked by the Icelandic government to sail to America when war brakes out again in Europe in 1939. He is supposed to arrange for supplies to be sent to Iceland as the country is again in danger of being cut off from Europe. For the duration of the war, ÓJ&K runs a branch in New York, as do many other Icelandic wholesales. 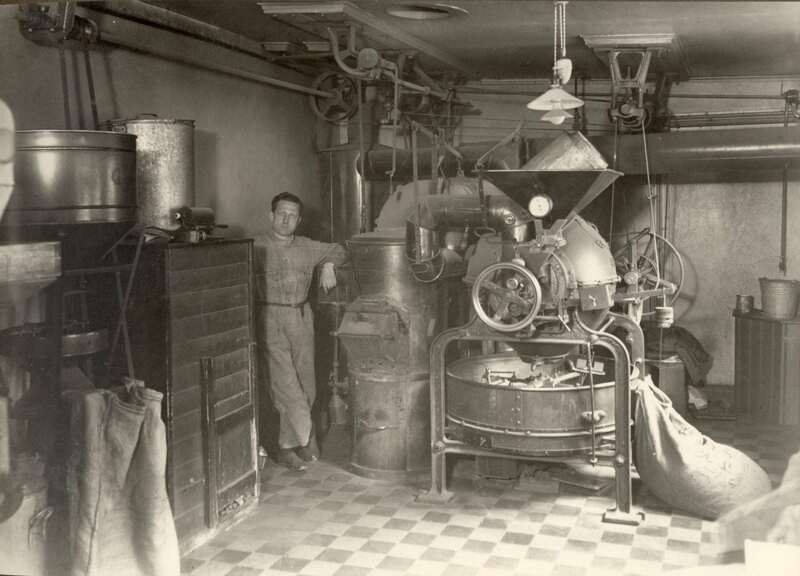 After the war, a factory is built in Sætun, Reykjavik, for the coffee roastery and coffee supplement manufacturing. The company expands, importing not only foodstuff but also a variety of goods such as small electronic devices and electrical appliances like refrigerators, washing machines, radios and of course television sets – once Iceland‘s state run TV station starts broadcasting in 1966. 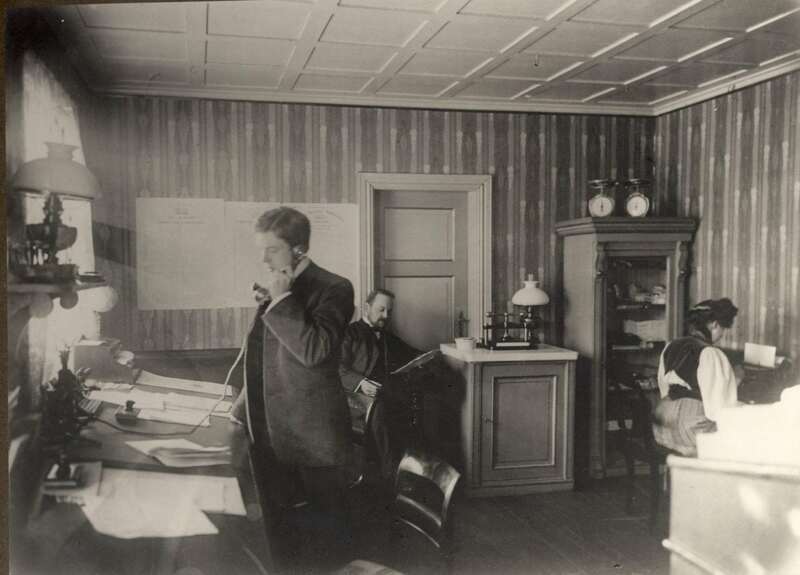 The company has now moved all its operations to Sætun, Reykjavik. ÓJ&K‘s selection keeps broadening: electronics, food, medicine, clothes, DAF cars, medical supplies, baby food and products, cosmetics, insulation, toasters … basically anything you can possibly think of! Still producing coffee and coffee supplements and now also paper products such as toilet paper, paper bags and paper rolls for calculators. 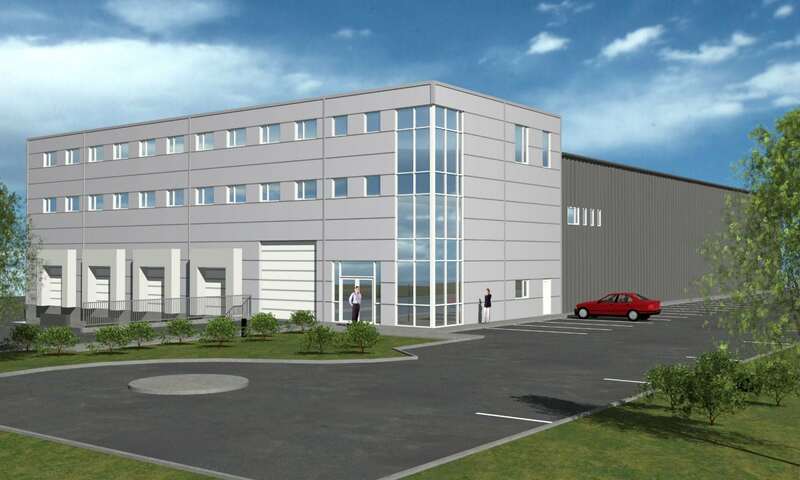 ÓJ&K builds a new coffee roasting factory in Tunguhals, Reykjavik. An almost futuristic – or at least avant-garde – building with all the latest equipment for making coffee, a fully automatic process. Four types of coffee are now being made: Rio, Java, Mocca and Columbia. ÓJ&K celebrate their 75th anniversary – and times are changing. Canned food has started to yield to fresh food, we have entrusted others with the cod liver production and the popularity of the DAF cars being imported has started to dwindle. The era of technology has arrived and computers are the latest “fad.” Needless to say, ÓJ&K are on top of things and Heimilistæki, ÓJ&K‘s subsidiary, starts selling very popular WANG computers. They also offer all kinds of electronic devices which seem to get smaller every year – while the TV screens get bigger! A few years later, people queue up outside their stores for the decoders needed to unscramble broadcast by Iceland‘s first private TV station, Channel 2. ÓJ&K is now more of a mini-conglomerate with extensive operations in many different fields: Heimilistæki being one of the country‘s biggest electronic supplier, Kaaber-coffee still being roasted and sold all over the country, demand for medical supplies is on the rise and the ÓJ&K operation has become more diverse than was ever intended, even running a sizable sheet metal workshop. It is still a family company, owned by descendants of the founder and directors through the years. But times – they are changing. The ÓJ&K coffee roasting company merges with another old roastery, Kaffibrennsla Akureyrar and is now called Nýja kaffibrennslan – the New Roastery – with all operations being moved to Akureyri. 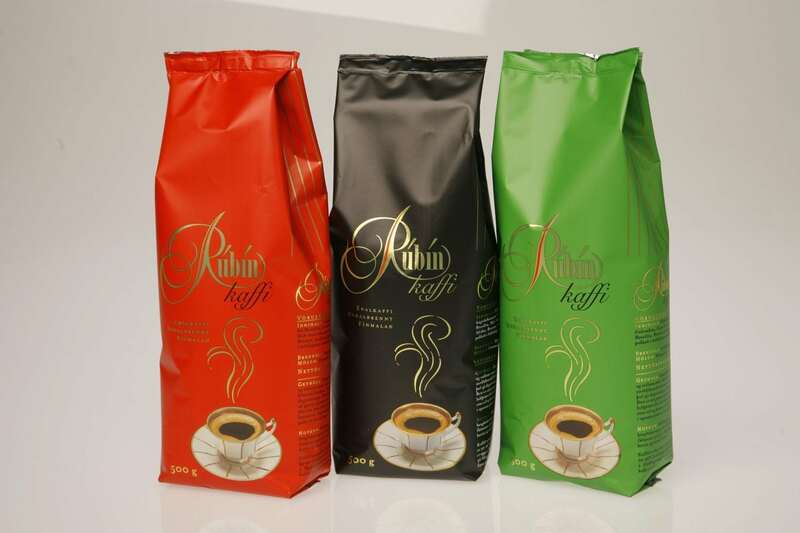 The true and trusted brands are of course still being made but the new “kid on the block” – the new coffee product line Rúbín – seems to have greater appeal to the younger generations of latté/macchiato/cappuccino drinkers. The new century brings about a lot of changes. After several tough years, ÓJ&K is reconstructed, some of the departments and subsidiaries are sold off and the company goes „back to basics.“ The course is reset for importing mainly food and other goods sold in convenience stores. 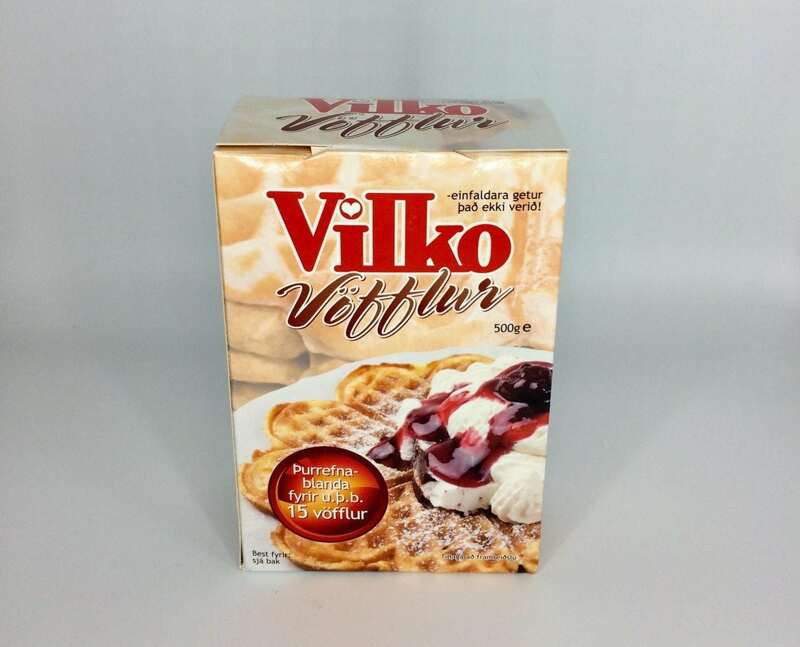 ÓJ&K becomes a shareholder in the small production company Vilkó in Blönduós – which becomes renowned for its waffle-mix – a national favorite – and later Prima spices. ÓJ&K moves its operations yet again, now to Tunguháls, next door to the old coffee factory. 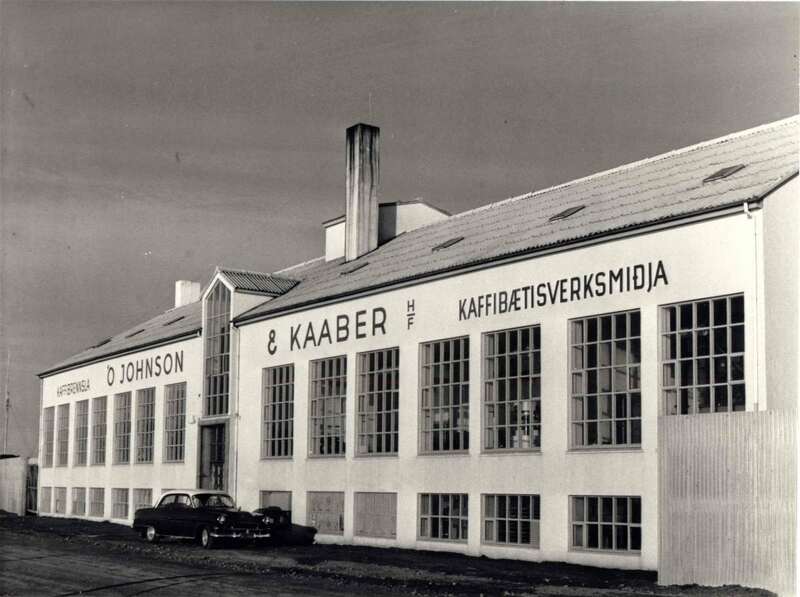 As ÓJ&K celebrates its centennial anniversary, a small catering wholesale joins the family, Sælkeradreifing. This is a smart move as this “little sister” grows quite rapidly to become one of the major horeca suppliers in the prosperous times preceding the big international financial crash in 2008. Another rollercoaster ride is behind us as we look back on the decade that has passed since “The Crash” of 2008. Most Icelandic companies faced serious trouble, not least because of the Icelandic Krona which was devalued by 50%. But as the ancient saying goes: “This too shall pass” … and so did these difficult times. A few years later, Iceland took yet another U-turn with booming tourism bringing business back on track … and then some. We are proud of having served generations of Icelanders for the past 112 years. It‘s been quite a sailing through all kinds of waters in every type of weather. But we love the company we keep and look forward to many, many years of giving our passengers excellent service. The market we operate is a lot like the Icelandic weather – robust and ever changing – so we need to be flexible. We are now preparing to move our operations yet again, as we are all out of space. But although we run a tight ship as is, we’ve got the best crew possible both on and below the deck. The engine room is stuffed with 112 years of experience, resilience, expertise and innovative thinking and the vessel itself well equipped to face the future and the challenges it may bring. We can’t wait to sail towards it … All aboard!